In many organizations, workplace learning consists of getting people into a room to listen to an instructor. If the workforce is distributed, the room used may be virtual instead of physical, and the donuts served may be imaginary instead of real. 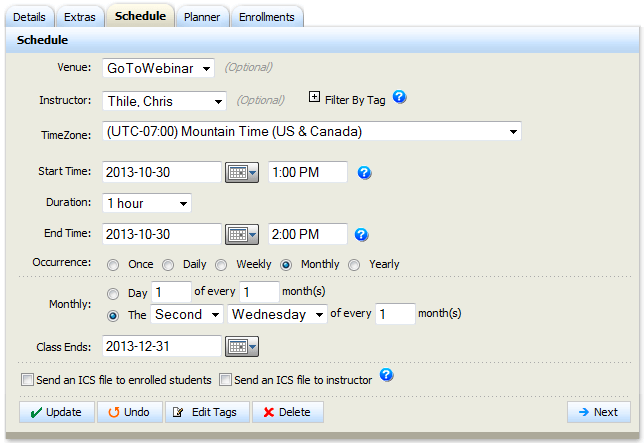 Instructor-led courses can have sessions that automatically repeat daily, weekly, etc.